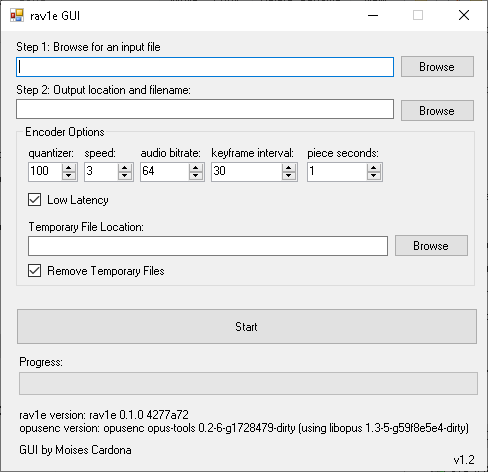 Hi everyone, Today, I’ve released a new version of rav1e_gui: This version adds a piece seconds parameter that you can modify to split the video file into the specified seconds amount part. This gives you greater control on how long should the parts be to encode them to AV1 using rav1e. 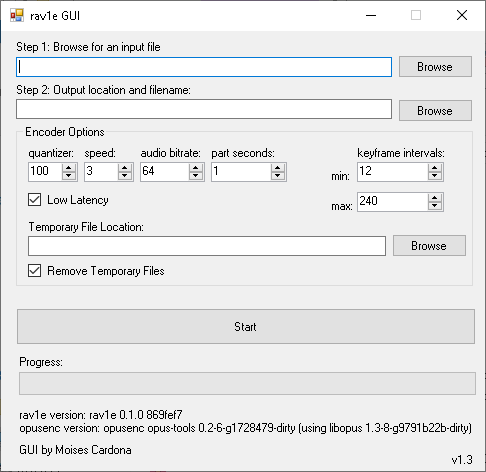 You can download this new version here: https://github.com/moisesmcardona/rav1e_gui/releases/v1.2 Enjoy!